Academy Award winner Kevin Spacey leads an all-star cast in this fast, fun, and suspenseful story of a clever crime boss and the lost art of the heist! Michael Lynch (Spacey) is Dublin’s most notorious criminal, known for brazen robberies that perplex the police and inspire his fellow working-class Northsiders. When he’s not playing family man with his children and two wives – sisters Christine and Lisa – Lynch is busy plotting elaborate larcenies that are as much about style and showmanship as the loot involved! But when the one cop sharp enough to catch Lynch gets on his case, our fun-loving criminal gets a run for his money! Michael just loves taking the law into his own hands! "Academy Award winner Kevin Spacey (Best Actor, American Beauty; The Usual Suspects) leads an all-star cast in this fast, fun, and suspenseful story of a clever crime boss and the lost art of the heist! Michael Lynch (Spacey) is Dublin’s most notorious criminal, known for brazen robberies that perplex the police and inspire his fellow working-class Northsiders. When he’s not playing family man with his children and two wives – sisters Christine (Linda Fiorentino - Men In Black) and Lisa (Helen Baxendale) – Lynch is busy plotting elaborate larcenies that are as much about style and showmanship as the loot involved! But when the one cop (Stephen Dillane - Spy Game) sharp enough to catch Lynch gets on his case, our fun-loving criminal gets a run for his money! Also featuring Colin Farrell (Minority Report) as Lynch’s loyal sidekick – you’re sure to get your money’s worth from this highly original and endlessly entertaining movie treat!" That film snippet sums things up nicely and concisely, but there are a couple of glaring errors contained within that little blurb – the first being the one that mentions “featuring Colin Farrell”. The blurb, as well as the DVD case, is a bit misleading in the fact that they seemingly want you to think that Colin Farrell plays a major role in the film by mentioning him in the film’s synopsis, as well as prominently displaying him on the cover. However, that’s not quite a true assumption. Simply put, Farrell’s a bit player – he only shows up in a supporting role - and quite minor one at that. Actually, his name never even appears in the opening crawl. Plus, he’s not “Lynch’s loyal sidekick” as the case would have you believe, he’s simply one of many sidekicks in Lynch’s gang and definitely lower on the totem pole than the blurb would have you believe. It’s obvious that Miramax is trying to cash in on Farrell’s recent successes and that’s completely understandable considering the original audience and theatrical take this film attracted. However, I just wanted to clear things up before you jumped in to Ordinary Decent Criminal thinking that Farrell somehow makes a huge impact in the film before it’s all said and done. Next, I’d like to call attention to the statement that mentions “highly original”. Actually, this was the second film within a year that was made about the same subject. Quite a few months prior to Thaddeus O'Sullivan's 1999 Ordinary Decent Criminal (which has been laboring on Miramax’s shelf for some time now), John Boorman came out with a film by the name of The General and both were/are fictional portrayals of psychopathic, highly feared, and very real Irish crime boss, Martin Cahill. 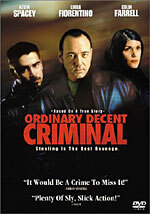 However, Cahill is reimagined here as Michael Lynch (Kevin Spacey) and as expected, much of the folklore that surrounded Cahill is faithfully transferred to the film; his being married to two women at once – sisters no less (played by Linda Fiorentino and Helen Baxendale), his brazen bribing of judges and local officials, a crafty chase that he led the police on where the cops ran out of fuel, the story of Cahill standing up to the local government by refusing to leave a building slated to be demolished, and of course, his daring heists. However, many things have been sanitized for the film – most notably that fact that Lynch isn’t nearly as menacing a character as his real life counterpart Cahill was. Even so, Ordinary Decent Criminal, manages to get the main points of the story across just fine. Lynch is portrayed here as a pleasant and easygoing guy – an “ordinary, decent criminal” if you will – who just so happens to be a illicit mastermind. While he has no official occupation and lives off of the welfare of the state, he manages to keep quite a few local judges on his payroll and keep his hide out of jail. When he plans a heist – he really plans a heist - and makes sure that it gets maximum shock value in the community and a high rate of return for his crew. Even so, it’s not about the money so much as it is making the police look like fools and making himself look like an uncatchable bandit. However, the police are quickly growing tired of his pranks and the IRA wants to move in on some of his territory and it begins a dangerous game of cat-and-mouse where crosses and double-crosses are par for the course. Let the battle for the upper hand begin and may the best man win! 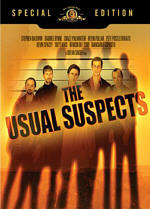 Ultimately however, Ordinary Decent Criminal plays as a poor man’s Lock Stock and Two Smoking Barrels (back when Guy Ritchie could make good movies) and while it doesn’t match the aforementioned’s wit and panache, it manages to maintain the same quick pacing and a similar quirky tone to keep the viewer interested. The actors do a fine job from top to bottom and while Spacey’s thick Irish accent fails him in spots, he remains a believable character throughout and the supporting cast manages to hold their own. While the film didn’t find it’s way on to any of my “top ten” or “favorite films” list, it was an enjoyable romp that I feel deserved a bit more play than it got here in the States. There were some genuinely amusing moments in the film - although suspense rarely came in to play - and ultimately, Ordinary Decent Criminal was a fun ride, with a nice little twist at the end. Miramax’s Ordinary Decent Criminal comes with a quite impressive looking anamorphic widescreen transfer in the film’s original aspect ratio of 2.35:1. While I didn’t check IMDB, I would imagine that the film didn’t enjoy a really large budget and it surely didn’t see a wide release, so I have to admit that my expectations going in were quite slim. However, after watching the film, I’d have to say I’m quite impressed. Ordinary Decent Criminal maintained a very tight and detailed image for the most part, with slight amounts of grain softening up some of the darker sequences in the film. The film contains a rather generic, and at times, dreary palette that brightens up somewhat during the scenes shot in the art gallery featuring the Caravaggio exhibit and a few of the outdoor sequences. Much of the film was shot at night, or in low-lit interiors such as the gang’s hangout, and those scenes seemed to hold up well save for a slight amount of grain and softness. Some of the outdoor scenes portrayed some lush and inviting hues to be sure, but overall, the palette remained rather subdued and average. Black levels were appropriately deep and dense - expect for one particular scene in Lynch’s bedroom that was marred with excessive grain – and shadow detail and delineation were more than acceptable. Fleshtones came across as warm and natural and I noted no concerns dealing with over-saturation or smearing of hues. Flaws with the transfer were run-of-the-mill, with some grain noted in a few of the darker scenes, as well as a few spots and flakes on the print from time to time. However, issues such as edge enhancement and shimmer were completely absent and the master print seemed to be in almost immaculate condition. Miramax has quite a little gem on their hands with Ordinary Decent Criminal and the video transfer for the film was quite fitting as well. Much better than expected and quite surprising for such a little known film. Miramax doesn’t offer up any options here outside of their very adequate Dolby Digital 5.1 transfer for Ordinary Decent Criminal. However, it’s a fine mix and viewers won’t find themselves feeling cheated whatsoever, as the mix works well for the material at hand. The front surrounds for the film were quite active at times, as Damon Albarn’s catchy score came across very rich and vibrant, with a very impressive low-end that at times, could hang with the best of ‘em. (Jane’s Addiction’s Been Caught Stealin’ was a nice touch.) However, there’s not much else worthy of mention, as effects were rarely used or used impressively. Although what was present was very distinct and natural, it consistently failed to take advantage of the 5.1 setup and there were rarely any impressive pans or splits included in the transfer. Rear surrounds were hardly used and were only noticed propping up the score occasionally and reinforcing a couple of the more active sequences in the film. Dialogue remained front, center, and finely reproduced, with the only intelligibility problems emanating from the thick Irish accents. To supplement the Dolby Digital 5.1 transfer, Miramax has also included English Closed Captions on the disc as well. Not much in the way of supplemental material here as all we’ll find is a selection entitled Sneak Peeks and it contains nothing more than five DVD previews for other Miramax titles that include Office Killer, Pulp Fiction, Jackie Brown, Shipping News, and The Grifters. Ordinary Decent Criminal was a somewhat ordinary … but quite decent little film that was a welcome addition to my DVD collection. However, for the rather high asking price and the relative lack of any substantive extras, I’d say pass on this one if you aren’t already familiar with the film – it’d make a good weekend rental at best. 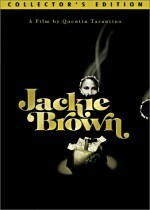 However, if you’re already familiar with the film and loved it, by all means, pick it up. New Line has handled the film’s transfers - both audio and video – quite well and outside of the lack of extras, there’s not a whole lot to complain about.